The Boy Scouts of America’s national board last week elected two new volunteers to join our National Key 3. Jim Turley, the former chairman and CEO of Ernst & Young who has served as a Scouting volunteer for nearly 25 years, has been elected national chair. Ellie Morrison, an assistant Scoutmaster from Waco who has helped develop proven methods for creating and growing Scouting units, has been elected national commissioner. Along with Chief Scout Executive Mike Surbaugh, Turley and Morrison form the National Key 3. Today, let’s meet these two dedicated, outstanding volunteers. Jim Turley has been a Scouting volunteer at the local and national levels since 1994. In 2002, he joined the BSA’s National Executive Board. Seven years later, in 2009, he received the Silver Buffalo Award — Scouting’s highest honor for volunteers. He also served as president of the Greater St. Louis Area Council from 2016 to 2018. Turley steps into the role of national chair — the new name for this position previously called national president. He’s the 37th person in BSA history to hold this role, which has responsibilities that include serving as chairman of meetings of the National Council and providing oversight to the BSA’s strategic plan. In 2013, Turley retired from a 37-year career at the accounting firm Ernst & Young. He started with the company in Houston and eventually became global chairman and CEO, serving in that role for 12 years. Ellie Morrison becomes the 11th national commissioner of the BSA — a position first held by Daniel Carter Beard. She is the first woman to serve in the role. Like commissioners at all levels of Scouting, the national commissioner is an experienced Scouter who helps chartered organizations and unit leaders achieve the aims of Scouting. Morrison’s impact on Scouting has been felt in many ways. She chaired the New Unit Task Force — a collaboration of membership and commissioner service. This is the group that wrote the Unit Performance Guide, which is the accepted best way of organizing new units. Morrison also chaired the team that created the Commissioner Award of Excellence for Unit Service — an honor for commissioners symbolized by a gold square knot on a red background. Morrison was a key member of the committee that designed Wood Badge for the 21st Century. She also served on staff at the pilot course. In 2013, Morrison received the Silver Buffalo Award. But she didn’t stop there. Her efforts to promote the New Member Coordinator position, including serving as the first chair of the New Member Coordinator Task Force, have helped new Scouting families feel welcomed into Scouting. Morrison is still active as an assistant Scoutmaster for Troop 308 in Waco and continues to serve as a unit commissioner. Outside of Scouting, Morrison has served First United Methodist Church in Waco, Texas, in many roles, including director of Christian education and children’s ministries. There’s a Key 3 at every level of Scouting. These are the top three individuals within each segment of the BSA: unit, district, council, area, region and national. The National Key 3 includes our national chair (previously called national president), Chief Scout Executive and national commissioner. These three individuals — two volunteers and one professional — are responsible for guiding our great organization. Turley and Morrison are joined in the Key 3 by Surbuagh, who became the BSA’s 13th Chief Scout Executive in 2015. 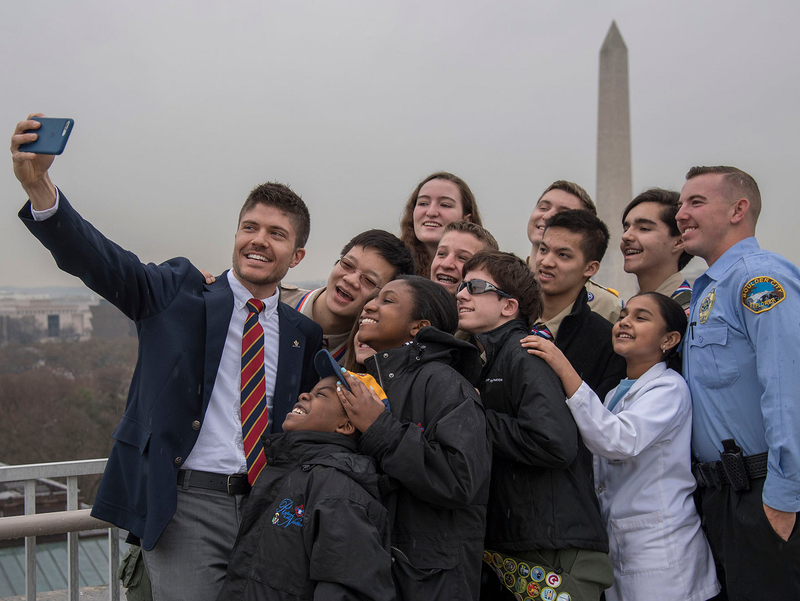 The Chief Scout Executive, a role first held by James E. West, is the top professional in Scouting and the only person on the National Key 3 who is not a volunteer. Surbaugh is an Eagle Scout and a Vigil Honor Member of the Order of the Arrow. He began his BSA career in 1984 as a district executive in Jacksonville, Fla.